The current Fort Wayne Animal Care & Control facility has been serving the local community for two decades. During that time frame, the approach for providing animal care services has seen significant change nationally. Current animal care programs focus on shortening the stay of animals in shelters, creating low-stress housing, animal socialization, and providing educational resources for the general public. The original building design included an after-hours depository for the relinquishment of animals when the shelter was closed; while this concept saw widespread adoption for a period of time, it has fallen out of practice in the past decade. With the closing of its after-hours depository, Fort Wayne Animal Care & Control had the opportunity to repurpose that space for another function. The space was ideally located to house a new, larger surgery department that would facilitate the many surgeries that can now be completed in-house. The construction of this new surgery department will better utilize the time and resources of the on-staff veterinarian while requiring less dependence on the services of local veterinary offices. 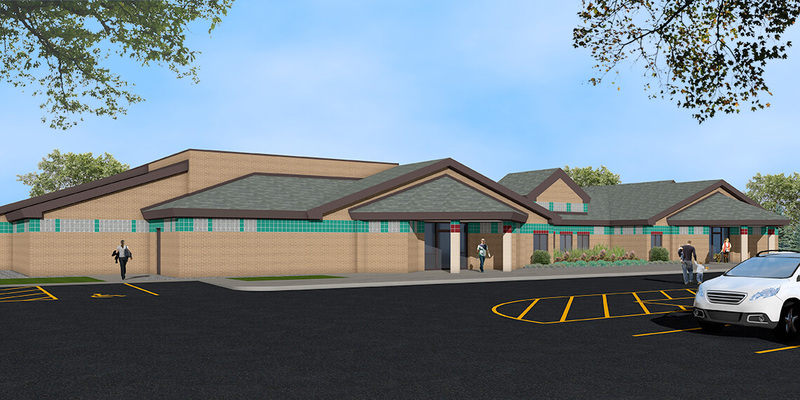 In addition to the construction of a new surgery department, the project will include the conversion of the existing surgery room into a new intake and bereavement office, as well as the addition of a necropsy suite to aid local law enforcement in the prosecution of animal abuse and neglect cases. Construction is expected to begin before the end of 2018 with completion in the spring of 2019.